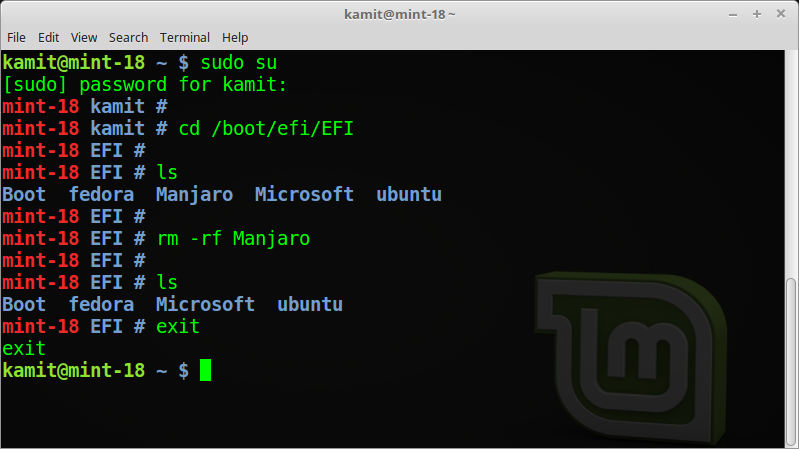 For those Windows users who have discovered what Linux has to offer, but for one reason or another are not ready to completely abandon Windows, dual-booting between the two operating systems is one method of keeping a foot in both worlds. And to help those users, this article presents a step-by-step guide on how to configure dual-booting between Windows 7 and Ubuntu 11.04 on a computer with one hard drive. The same steps may be used to dual-boot both between both systems on a computer with two hard drives. In attempting to dual-boot between Windows 7 and Ubuntu 11.04, you will either install Windows anew, then install Ubuntu 11.04 alongside it, or install Ubuntu 11.04 alongside an existing installation of Windows. This tutorial uses as example, a case of installing Ubuntu 11.04 on an existing installation of Windows 7. 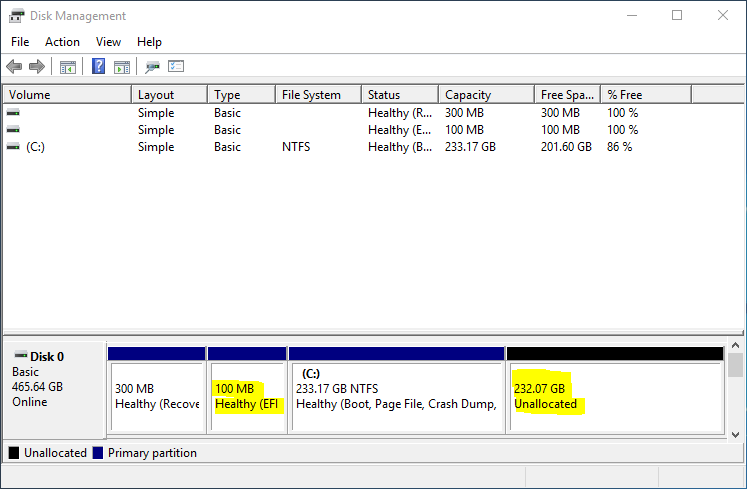 As shown in the image below, the existing installation of Windows 7 used for this tutorial has three primary partitions. 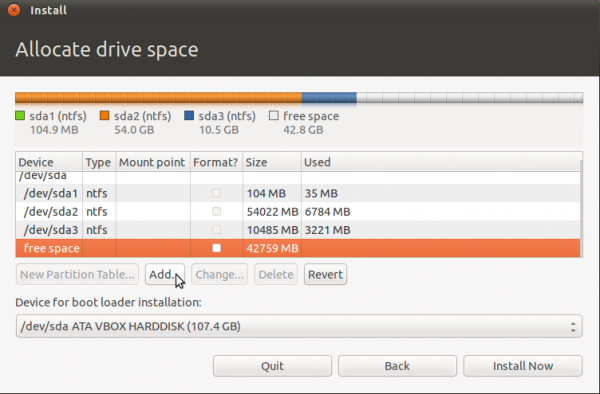 And because of the limitations of the MBR partitioning scheme, only one primary partition is available for installing Ubuntu 11.04. 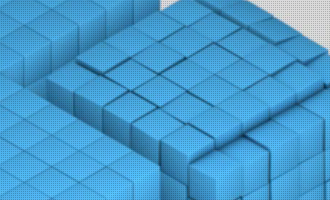 By using an extended partition, we can configure as many partitions as we need for Ubuntu. To begin, boot the computer using a Ubuntu 11.04 CD or DVD. At the disk partitioning step, the installer will present several options. Because the installer will not automatically partition and configure the free space, using the installer’s advanced partitioning tool is the only method of creating the necessary partitions. To launch the advanced tool, select the “Something else” option, the click Forward. 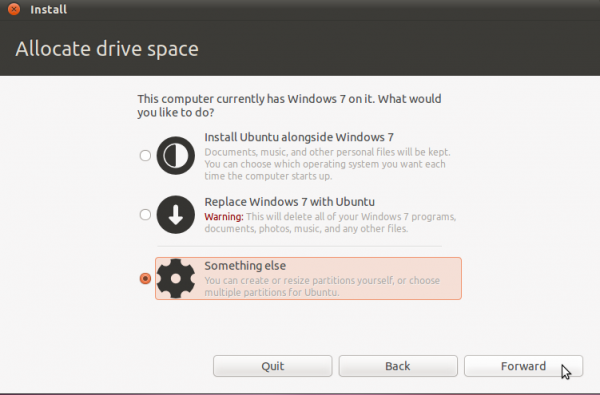 This is Ubuntu’s advanced partitioning tool and the detected partitions. 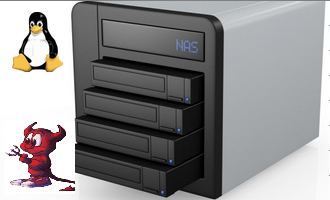 The first three partitions are obviously the ntfs partitions that we saw in the first image. 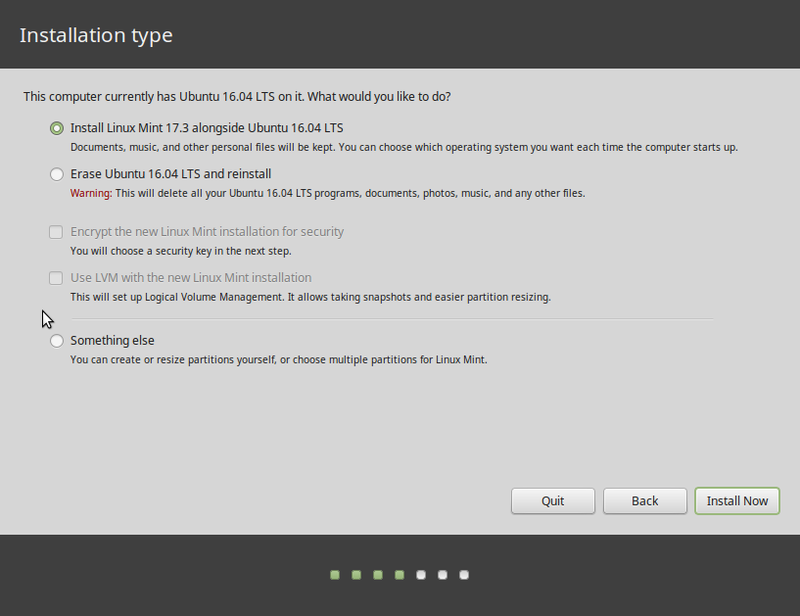 Because there are three existing primary partition, the last partition will have to be an extended partition, under which logical partitions for installation of Ubuntu will be configured. So, to start setting up these partitions, select the free space and click on Add. Note that this step will have to be repeated for all the partitions. The first partition will be for /boot. When setting up an LVM-based system using an Alternate Installer ISO image, the default disk space allocated to /boot is 258 MB. However, only about 22 MB of that is used, so anything thing between that size range will do. For this tutorial, the default will be used. The mount point will, of course, be /boot. The default file system is ext2. OK.
For the record, I have been able to install Ubuntu 11.04 successfully without Swap. The sky has not fallen yet, but I have not tried to put the system in Suspend or Hibernate mode. In any case, save yourself a load of trouble and configure Swap. The suggested size for Swap is 2000 MB. Select “swap area” from the “Use as” dropdown menu. OK. The third partition will be for /, the root directory. The default journaling file system on Ubuntu 11.04 is ext4. You may stick with it or choose another journaling file system available. Btrfs is supported, but this partitioning scheme is not for btrfs. If you are interested, how to install Ubuntu 11.04 on a btrfs file system is a good place to start. The installer recommends a minimum of 4.4 GB for Ubuntu 11.04, but on a new installation, less than 3 GB of disk space allocated to / is used. Note that as you install additional applications after installation, disk space used will grow, so be generous here. I think 10 GB should be more than enough. OK. The last partition will be for /home. The file system is ext4, and you may allocate all available disk space to it. OK.
What Linux distribution did you install. Is the PC using UEFI firmware? very very thank for your kind information to how dual boot system in a single system with windows and ubuntu by manually .this is very useful for me now and future. What type of hardware do you have, and what are the disk partitions and sizes for both OSs? Thank you !, It works perfectly !. Apparantly this doesn’t work with Ubuntu 12 but only with Ubuntu 11. I am assuming all those who got a failed to install GRUB in /boot were trying to install Ubuntu 12. I have tried 5 times with some little tweaks to install GRUB in /boot for Ubuntu 12 i.e. increasing /boot partition size, changing the format to ext4 etc but nothing works. I even set me partitions the same way so there is no misunderstanding. Now when I installed Ubuntu 11, it works fine for me. GRUB was easily installed in /boot and there were no problems at all. Please look into this. Try a fresh intall yourself and see what the problem is. Thanks. Sure, I’ll give it a fresh look later this week. Just tried this tutorial on a Vbox virtual machine, with Windows 7 and Ubuntu 12.04 and it works perfectly. Some people seem to be having problems with 12.04. Let us know if it works for you on your laptop. I still haven’t installed ubuntu 12.04 in my laptop,maybe later in the week. But in my “experiences” I ended up repeating the same process to dual boot windows 7 and xubuntu 12.04 (again in a VBox machine). This time I ended up with the same fatal error when trying to install GRUB in /BOOT partition. The only difference betwen the two processes was deactivating the PAE for xubuntu. Tomorrow i’ll try again with Ubuntu 12.04, with PAE activated, as in the first try I made. 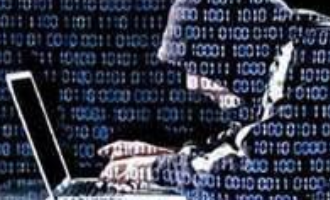 I’m relatively new to linux, and have a lot to learn, so I really don’t yet understand the reason why the fatal erros occured this time (Desktop environment, kernel, PAE, ???). Any ideas on this? Has anyone had better luck with this issue? Check back tomorrow. I’ll update this tutorial for 12.04. If you have not done so already, you may subscribe to this website by RSS or email, so it will be delivered to your inbox or Feed Reader automatically. Just wrote an update to this article using Ubuntu 12.04. You may read it here. and a text that tells me I an get commands by presing TAB and when I do that I get a bunch of commands. But I don´t know how get any further. So should I try to do the Bootrepair or is something elese wrong? Is /dev/sda5 your boot partition? It is very likely that you did not tell EasyBCD the correct location for GRUB. Hi, i’m having the same issue. When i select grub2 in the EasyBCD, i cant select where is the grub installed (it says automatically configured and dont let me select one…). Yep, it is the same. That is what happens when GRUB 2 is the boot loader. So you should be fine. yes but ubuntu never starts… it only shows a command line like Slaughter83 describes. What is the size of the disk you used? 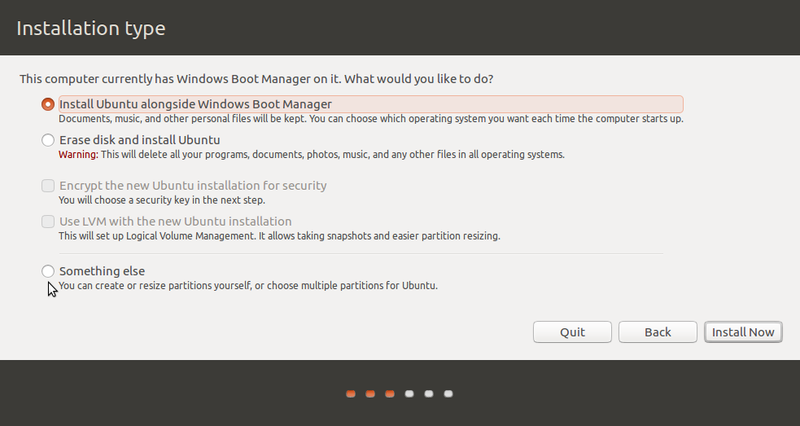 And how much is allocated to Windows before the boot partition of Ubuntu starts? even I choose other partition( / , /home ), it’s showing the same error message. is that really necessary to install the grub to boot partition then dev/sda ? 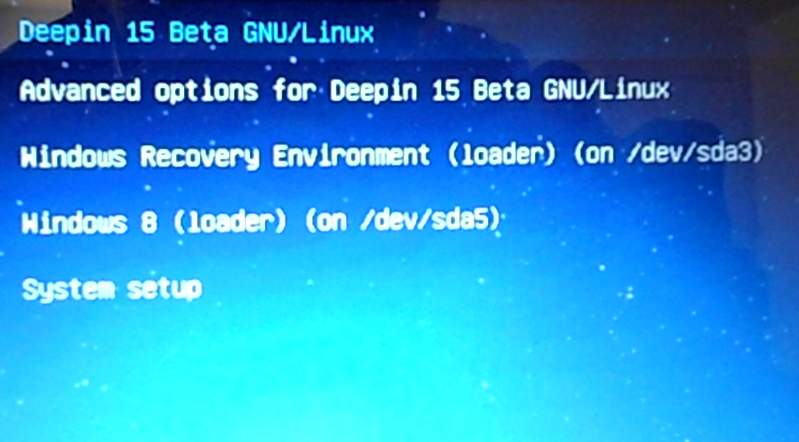 If you want GRUB to be responsible for presenting the OSs on bootup, then installing it in sda is your best option. The reason for installing it in /boot is given in the article.